The view of Gibbs Cay from Matersons Point. Cockburn Town as seen from the bluffs of Matersons Point. Matersons Point, located on the eastern coast, offers expansive views over much of the island. This is largely undeveloped and residential, but a few new projects are currently under construction. This area is a stop-off point for some island tours, simply due to the high ground and scenic views. 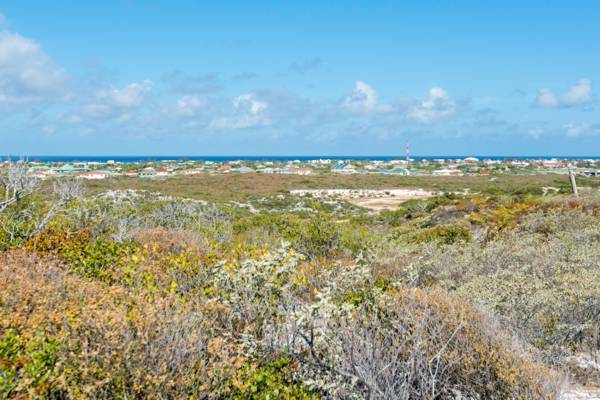 The Hills near Matersons Point are the highest natural elevations on Grand Turk, reaching heights just under 80 feet (24m). From the highpoint in this area (Aker’s Hill), excellent vistas can be had over Gibbs Cay and the field walls of the Eve Family Plantation, a late 18th century site where cotton was raised. The field walls of the Eve Family Plantation. The bluff of Gun Hill can be seen in the background. The Eve family had quite a bit of provenance in the region at the time due to Dr. Joseph Eve, a Loyalist cotton planter from the adjacent Bahamas, who was famous for his improved and wind-powered version of Eli Whitney’s revolutionary Cotton Gin. 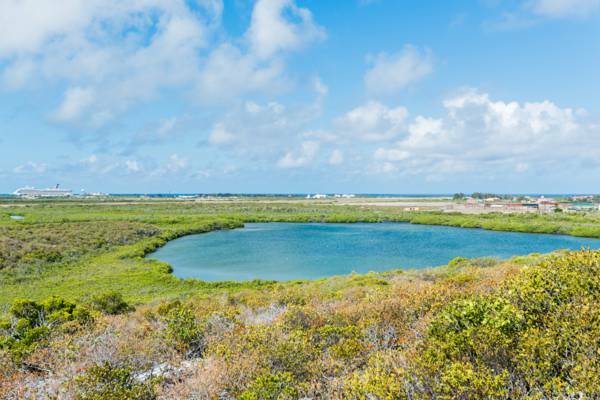 It’s a bit unusual that a plantation was constructed on the relatively infertile Grand Turk, as due to the present salt industry and the lack of decent soil and water, the island never saw the extensive cotton and sisal agriculture that took place on the larger Caicos Islands. The expansive Great Salina and much of Cockburn Town can be seen as well. Grand Turk is generally a very low-lying island, and it’s a bit comical how the cruise ships in port dwarf the island. 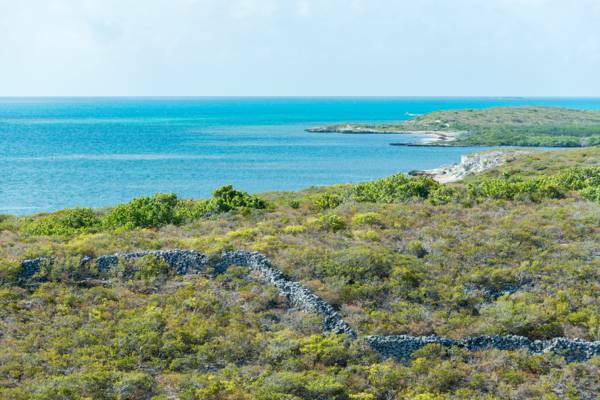 The southern end of Materson’s Point is home to the ruins of Conch World which was intended to be a counterpart tourist attraction to the Caicos Conch Farm on Providenciales. However, due to financial issues and the relative difficulty of access from the Grand Turk Cruise Center, the complex closed down not long after opening. The wetlands of The Sound at Matersons Point. Last reviewed by an editor on 4 April 2017.